“Strongly held beliefs can hurt us as much as they can help us. We have one bright light that we are following and we believe that is the way to go. We seek out and interpret information that leads us closer to the bright light. But sometimes that is at the expense of considering other, potentially brighter, lights to follow,” said Capital One Labs’ design researcher Allison Abbott speaking at Capital One panel during the SXSW conference earlier this month last week. Abbott and Capital One Labs’ principle product manager Emma Sagan both spoke about how confirmation biases, and other errors in human thought, can impact team members, their research, and creative process. A psychological term, confirmation bias (or confirmatory bias) is the human tendency to interpret information so that it confirms one’s preconceptions. During their panel, Abbot and Sagan discussion system processing in relation to how people think, selective attention, how to look at and examine one’s biases and micro-expressions, and more. When combating confirmation biases, they noted that people don’t always get it right — Even if they know the ‘tried and true,’ tricks to avoiding bias. The first area that Capital One Labs addresses when looking to combat biases is diversity. “We believe in diverse thought and groups of diverse thinkers. Having these diverse groups will help cancel out confirmation biases,” said Sagan. When tackling biases, oftentimes enterprises will start creating large teams in the hopes that larger teams will automatically equal more diversity. However, this is not usually the case, particularly if a large group of people shares the same biases. Large teams can also impact the overall development workflow as individuals can struggle with who to report to or address issues with. Capital One Labs creates a variety of financial applications designed to help consumers better manage their finances, save for a rainy day, and even has developed Big Data Academy — A self-directed program built on harnessing the power of individualized data. Big Data Academy also helps Capital One own developers to tackle solving problems with its systems and cloud-based solutions with its own in-house tools. With the ability to better tailor, track, and analyze industry and user data, Capital One Labs hopes to give its team members the opportunity to truly dive into the numbers behind a concept. Sagan and Abbott noted that Capital One Labs practices having many teams working at one time. At any point, they may have a team addressing core issues of a problem working alongside researchers. Having researchers available that are not tied to getting products into the market helps the Capital One Labs team ensure that the emphasis is purely on research. “It’s really important to have another person come in that isn’t invested in a project. This lets teams take a step back and figure out what to focus on other than just the positives,” said Sagan. When brainstorming new ideas, Sagan and Abbott suggest teams take a chance. Though this may seem contradictory, testing what’s considered an ‘extreme,’ solution can allow developers to better determine where a line in the sand will be drawn. Particularly when team members are, ‘in the zone,’ throwing out ideas and hammering out how time and resources will be allocated can help to better streamline the workflow process. When testing ‘bad,’ ideas, one must also keep in mind that user feedback is critical to re-examining a concept. Sagan notes that if a developer were to toss out an idea they knew was extreme and users loved it, this would signal that some part of the process required re-tooling. “At the end of the day, we all care about what we do. We wouldn’t be innovators if we didn’t have the belief that we’re doing the right thing,” Abbott said. All bias is not based on malicious intent, Sagan and Abbott noted. Nor is it about actively ignoring things which may make some uncomfortable. Rather, biases are the result of the human condition itself. As such, developing new ways to combat and become more aware of one’s biases are critical. Capital One Labs hopes to empower its teams to become not only aware of their biases but bring them into their conscious mind to become more successful product developers. 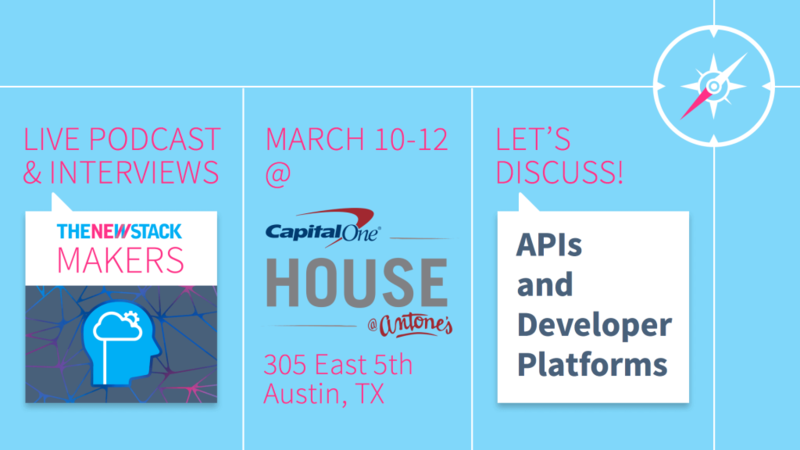 Capital One is a sponsor of The New Stack.